Huge thanks to the author for contacting me and giving me an opportunity to read his work and secondly please accept my apologies for what I have to say about the book is going to be extremely rude and brazen. I know it can be harsh but I believe it is better to be honest than sugar coating if you wanted an honest opinion in the first place. I am irate as to how this book is an epitome for naivety. At the end of the day this is a fiction and as per my understanding a work of fiction should the very least have a story to it . Where was the story? The whole story started and ended in one page which is to say at the back cover of the book and rest was nothing but just a test of patience for its readers. Could you please point that to me in the book? A guy in love with two girls- fair enough though lacking in originality that was a theme that could weave a story but you enter the book go through the strenuous and blanched 288 pages of pointless narration and still no sign of the relationship or so called torrid affair. If a bunch of conversation over telephone or over cup of telephone and accidental meetings along with your whole gang of friends in passing is your idea of romance then I am afraid I may have to suggest you to do better research. You had a story at hand and rather than focusing on developing it, it’s a pity that the entire book focuses on the character’s well to do background exhibited through constant mention of the grandeur of his house, the latest gadgets and cars he uses and the number of friends he has, the great marketing tricks he owns and the skills of bargaining he has. Why is it important for the readers to know which TV Drama you were watching and what you ate before going to sleep or what movie was running at that time when there was an entire story plot left to be noticed. How naïve you have to be to believe one telephonic conversation or a stroll in the park is all that is required for two souls to be in eternally love. 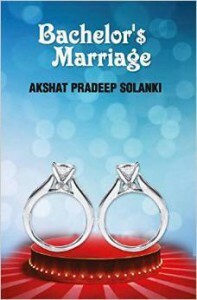 In the acknowledgment the author have stated that his vision was to create a story based on Indian marriage but can you please tell me how you achieved that? 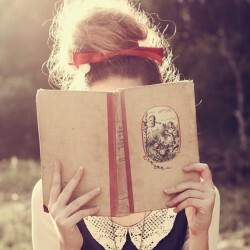 It could have if you have focused on narrating and developing the relationship between the characters. More focused on the turmoil of a character forced between the societal and parental decisions and longing of his heart but as of now the book is all about the vacations, the parties or movie hangouts our central character had. For a romance, there was hardly any opportunity when these so called “lovers” even had a moment together and bother to pour their hearts out and then the central character proclaim he is in love after mere occasional brushing past each other. for god sake’s Hinglish is not a language. While writing an English fiction, using Hindi should be forbidden unless it is being used to depict a proper noun or it is really crucial to the plot but in this book I never saw the relevance of those Hindi lines used. The language of the book is terrifying. How? The author has simply translated the hindi sentences to English and calls it story telling. Even that would have worked if the hindi sentences in itself was effective. There is a huge difference between conversational language and written language. You cannot simply use the day to day vocal conversations to narrate a story as it is a different set of language and skills that come into play when narrating a story. I know in my sarcasm I am ripping apart somebody’s hard work and I am really sorry that I have to be so rude about the book but the truth is that all the efforts have been completely wasted as the end result was such a disappointment. But somewhere I believe the author alone could not be blamed but the editors should be too .as they should have noticed the fact that the book lacked the very basic thing- the story, the plot. So called romance book that had nothing to do with romance, the core plot and ended up rubbing it on our face as to how rich our central character was along with being pompous and obsessed with his clothes, face and hair. Language is so robotic and like being sieved through a Hindi- English translator.